To investigate your holiday let mortgage options call our Bristol based mortgage advisor team on 0117 313 7780 or fill in our call back form. How do I get a Holiday Let Mortgage ? Letting a holiday home out at least for a portion of the year has become a popular way to generate additional income, however in most cases it is not possible to do so with a residential or standard by to let mortgage and you will need a ‘holiday let mortgage’ which are less commonly available among the big lenders than buy to let products. Most buy to let mortgages have a condition that the property is occupied by tenants on an ‘assured short hold tenancy’ which is not usually suitable for holiday makers. As the amount of time a holiday home is occupied, is less consistent than with a buy to let and the fact that the rental yield can fluctuate between the high and low season means that lenders see holiday lets as being of higher risk. While this higher perceived level of risk means that holiday let mortgages are not commonly available from the larger high street mortgage lenders, there are a range suitable products from a selection of building societies and smaller specialist lenders. Generally speaking interest rates on holiday lets are higher than you would expect for a residential mortgage, in account for this additional perceived level of risk to the lender. Specific stipulations when it comes to holiday let mortgages can vary considerably from lender to lender, it is therefore important to shop around to make sure you have found one that fits the circumstance. Some lenders for instance will only offer holiday lets for properties located in certain areas of the United Kingdom such as Wales and the South West of England, some lenders may also impose a limit on the maximum amount of weeks of the year a property can be let out to holiday makers. You may also be required to already be a home owner, and put down a larger deposit than you would expect to put down on a residential property, lenders often requiring a minimum of 25-30%. Some lenders have a minimum income requirement of their borrowers, typically £20,000-£40,000 depending on the lender. Generally speaking when calculating your affordability a lender will require a property’s monthly rental yield to be at least 125% of what the mortgage payments would be. As such you may be required to obtain a letter from a holiday agent estimating the rental income of the property. Lenders may also factor in to this calculation however the running costs associated with a holiday property such as; cleaning, maintenance and advertising. While there are a variety of holiday let mortgages available on the market their variable nature means it is wise to thoroughly shop around before hand and read each policy carefully to try and make sure you find the option best suited to your exact needs. You may want to consider using an independent mortgage adviser who can provide you with impartial advice throughout the application process. 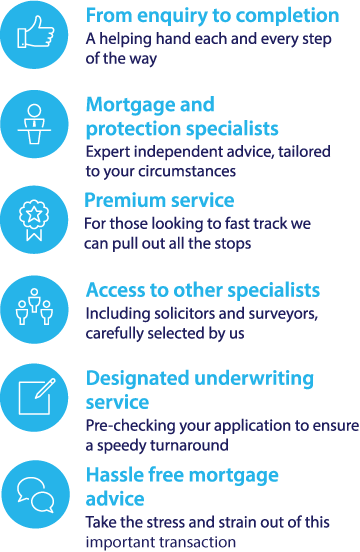 Whole of market advisers also have the benefit of being able to search across the whole mortgage market on your behalf to find the best deals from a range of different providers. If you feel like you may be able to benefit from the services of an mortgage adviser, you could fill in the contact form on this website to request a call back from a Fair Mortgages Adviser for a free initial consultation. For more information on getting a mortgage or remortgaging on a holiday let property call us on 0117 313 7780 or Request a callback.